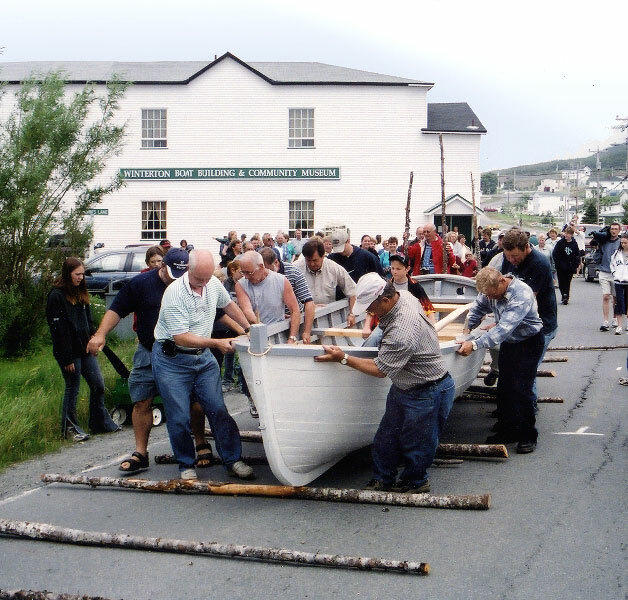 The Wooden Boat Museum of Newfoundland and Labrador (WBMNL) owes its beginnings to an organization with a similar name – The Winterton Boat Building and Community Museum. That institution was started in 1997 under the direction of the Town of Winterton’s Heritage Advisory Board. Inspired by Dr. David Taylor’s book Boat Building in Winterton, the founding group focused on Winterton’s boat building story as its main theme. It soon became apparent that these boat building skills and knowledge were in danger of disappearing, not only in Winterton but all across the province. Meanwhile these very same skills and knowledge were critical to enabling our forefathers to survive in a harsh marine and coastal environment and to establish the cultural landscape we have today. This heritage was too important to lose and with this in mind, a decision was taken to expand the mandate and form a province-wide organization known as the Wooden Boat Museum of Newfoundland and Labrador (WBMNL). WBMNL was incorporated in 2008 as a not-for-profit organization with charitable status, operated by a Board of Directors elected from its members. The premises in Winterton became the headquarters for WBMNL and continues to be operated by the Heritage Advisory Board, while the WBMNL Board of Directors focuses on building and developing its provincial mandate. One of the founding members of our museum was Fred Green. He built a rodney at the museum with his father Alfred, using three-piece moulds that have been in their family for generations. The boat was built over several years providing many museum visitors with the sights, sounds, and stories of boat building. The launch of the rodney became a great community, media, and family event, inspiring Fred to write the poem, Only a Boat. Like so many of our wooden boat builders, Alfred and Fred are no longer with us but the boat and the poem remains, giving us great insight into the art of boat building and the soul of the builder.